This fungus is parasitic on dead (only) Beech Trees. Numerous postules on the bark are ready to burst through as more external fungi. It forms clusters. 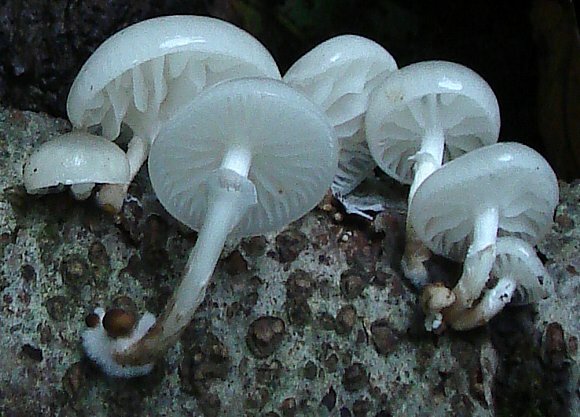 Porcelain Fungus is slimy, all white, and translucent, like chinaware or porcelain. Perhaps also looking like some jellyfish. The gills are well spaced, and binary-pattern inter-leaved resembling the heat-dissipating fins found on some heat-sinks. There is a pronounced flattened ring just beneath the umbrel. The mycellium form a thread-like foam around the base where two new buds are ready to develop. Fungi hardly ever seem to invade other fungi. This is probably because each fungus has its own powerful anti-fungicide, but there are particular cases of certain fungi growing on other specific fungi. 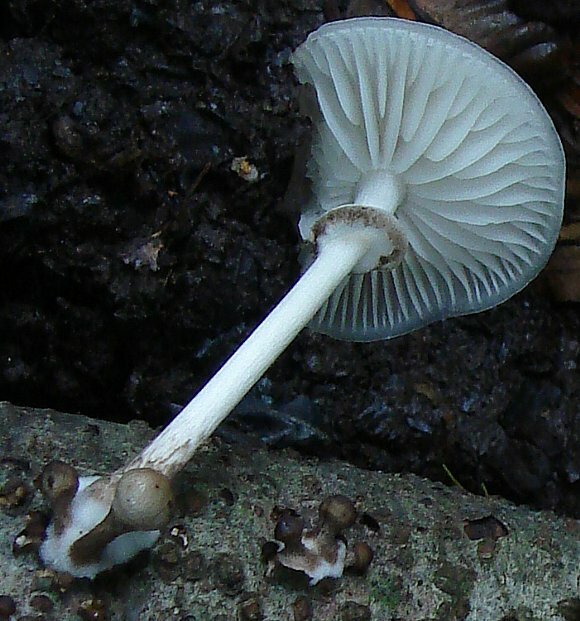 This fungus is reportedly edible once the slimy mucus (hence the name mucida) is removed. 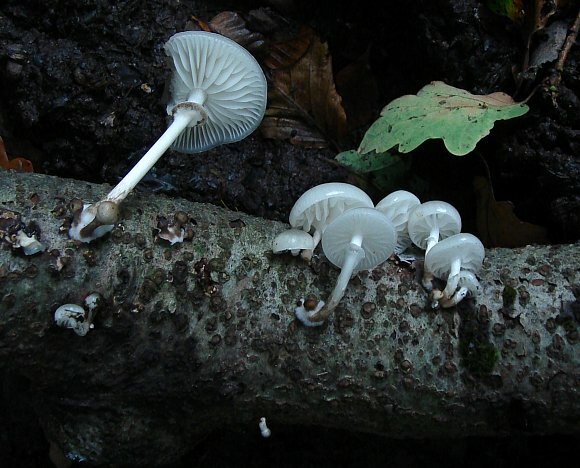 It grows preferentially on dead or partially damaged beech trees, or in a beech wood forest.